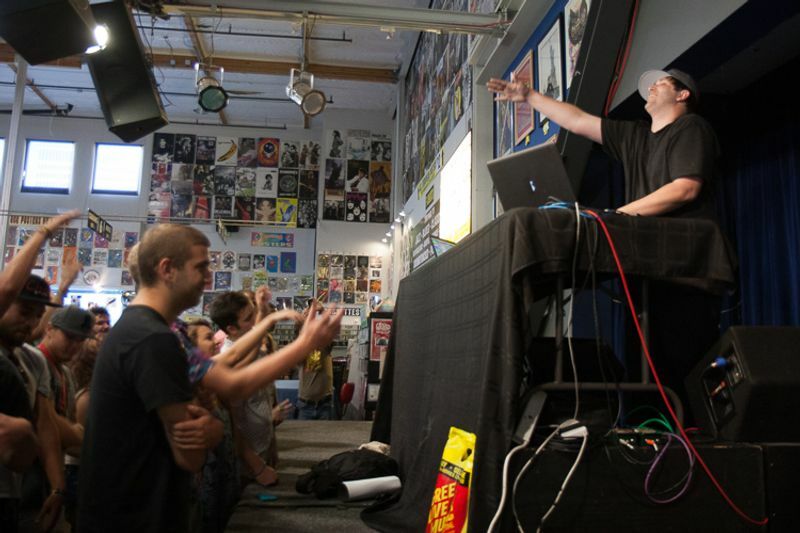 The kids came out in full force to see Pretty Lights at Amoeba Hollywood July 18. A decidedly young crowd enthusiastic about the rising EDM star lined every row of the store. It was tough to even get around the kids dancing in every empty space available to them. 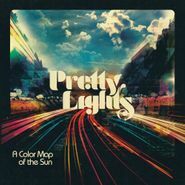 Pretty Lights aka Derek Vincent Smith started out by playing “Yellow Bird,” the prettiest and mellowest of songs from his latest album, A Color Map of the Sun. From there, the energy to his nearly hourlong show seemed to grow exponentially. Though his music squelches and booms like Skrillex, the methods he employs to get there are anything but simple. He composed each part to the new record and had them recorded before sampling and manipulating those sounds. Live, he played with a laptop and series of samplers, not going too crazy on them like Flying Lotus but instead focusing on getting the audience pumped, dancing and encouraging fans to raise their hands, employing judicious breaks to call out to the audience and get them riled up.